N.K. 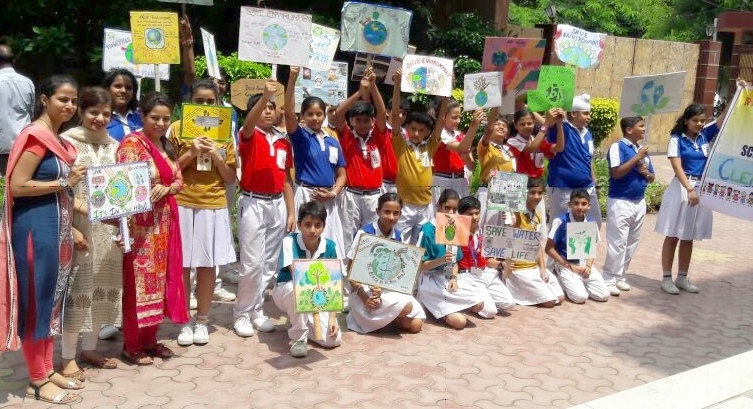 Bagrodia Public School , Dwarka celebrated Eco-Week with enthusiasm from 8th August 2016 to 12th August ,2016 to sensitize the students about their responsibilities towards the environment and make the children aware about how they can play a positive role in being instruments of change . During this week students of all the classes participated in a plethora of activities such as Greeting card making using waste material ,designing a nutritious birthday party menu,Poster making on “Litter makes planet bitter”,folder making on Global warming. Cleanliness drive was undertaken by students of class vi , the area near the school was selected for the drive .Student took out a rally with banners and posters giving message to grow and protect trees and keep our city clean.They acted locally but thought globally. During cleanliness drive the students went and met people and gave them handouts to motivate them to make their surrounding cleaner. 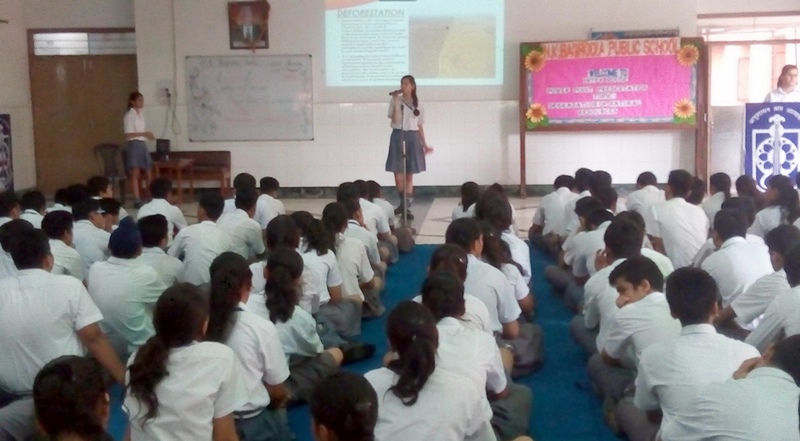 The events organized for secondary and sr. secondary wing were Inter house Powerpoint presentation on degradation of natural resources and Vanmahotsava.Students participated with full enthusiasm and it was enlightening for them as they did research and understood the need for a green and pollution-free environment for life to survive on earth. The Principal Dr. (Mrs.) Rajee N. Kumar along with the students spearheaded this drive by planting the saplings in the school ground.She lauded the efforts of participants.In her inspirational speech,she urged the students to do their bit to save the environment and requested each one to plant a sapling to prevent further desertification of earth.She encouraged the students to preserve trees which play a vital role in maintaining ecological balance.She said it is the responsibility of each citizen to not only grow but also take care of saplings planted by them.